A new English translation of the Mahāyāna-sūtrālaṃkāra came out last month (November, 2014): Ornament of the Great Vehicle Sūtras: Maitreya’s Mahāyānasūtrālaṃkāra with Commentaries by Khenpo Shenga and Ju Mipham, translated by Dharmachakra Translation Committee (Boston & London: Snow Lion, 2014). It was preceded by two other English translations of this text: (1) Mahāyānasūtrālaṃkāra by ‘Asaṅga,’ Sanskrit Text and Translated into English by Dr. (Mrs.) Surekha Vijay Limaye (Delhi: Sri Satguru Publications, 1992); and (2) The Universal Vehicle Discourse Literature (Mahāyānasūtrālaṃkāra), By Maitreyanātha/Āryāsaṅga, Together with its Commentary (Bhāṣya), By Vasubandhu, Translated from the Sanskrit, Tibetan, and Chinese by L. Jamspal, R. Clark, J. Wilson, L. Zwilling, M. Sweet, R. Thurman (New York: American Institute of Buddhist Studies, 2004). The new translation has been hailed as the most readable one now available. While readability is important, even more important is accuracy. It will be worthwhile to compare the existing translations using this criterion. The 2014 English translation of the Mahāyāna-sūtrālaṃkāra is a translation of a translation, being made from the Tibetan translation in the Derge edition (Translators’ Introduction, note 12, p. 964), without reference to the Sanskrit original. This allows us to see how this text was understood in Tibet, as do the two accompanying commentaries written in Tibet in comparatively recent times. The value of this is that the Buddhist tradition has been lost in India, its homeland, for about a thousand years now. Thus, as I have noted elsewhere,1 the 1992 English translation made in India from the published Sanskrit text (without reference to the Tibetan translation) is quite unreliable. The obviously sincere and well-meaning translator acknowledges the help of her teacher and of her supervisor (Introduction, p. xxiii), who clearly were unfamiliar with the Buddhist teachings. The common Buddhist phrase, śaraṇa-gamana, “going for refuge,” is here translated as “recourse to surrender” (p. 24); the term pudgala, used throughout Buddhism to mean “person,” is here translated as used throughout Jainism to mean “matter” (e.g., pp. 244, 441, 447, etc. ); the phrase giving the fundamental Buddhist doctrine, ātma-dṛṣṭi, “(false) view of self,” is here translated as “one’s own view point” (p. 69). The Tibetan tradition regards itself as having preserved the Indian tradition intact, giving the original meaning of the text unchanged. A welcome window into the Tibetan exegesis of this text is provided by the new translation. For the Mahāyāna-sūtrālaṃkāra itself, however, modern scholarship must question whether a translation of a translation, however competently done, can take the place of a translation of the original, competently done. The prior 2004 English translation of the Mahāyāna-sūtrālaṃkāra was also made from the Tibetan translation, but was then clarified and corrected by comparison with the published Sanskrit text, and with some reference to the early Chinese translation. When a text goes from a language having a very large vocabulary, such as Sanskrit, into a language having a much smaller vocabulary, such as Tibetan, something is inevitably lost. While the Tibetan tradition has no doubt correctly preserved the meaning of the Sanskrit text in general, to expect it to have captured every particular is unrealistic. Therefore, the translators of the 2004 translation felt the need to utilize the Sanskrit text. Because the Tibetan vocabulary is smaller than the Sanskrit vocabulary, one Tibetan word must translate more than one Sanskrit word. For example, in verse 6.3d (Sanskrit edition and 2004 English translation) or 7.3d (Tibetan translation and 2014 English translation), the Sanskrit word dharmamayaḥ was translated by the Tibetan words chos kyi rang bzhin. The Sanskrit word dharma is always translated by the Tibetan word chos, and is here used in its meaning, “the elements of existence” or “phenomena.” The Tibetan word rang bzhin most often translates the Sanskrit word svabhāva, “inherent nature.” This allowed the Tibetan words to be understood as the very common phrase used in philosophy, “the inherent nature of phenomena.” Thus, the 2014 translation has: “This is the nature of phenomena.” Here, however, the Tibetan word rang bzhin translates the Sanskrit suffix, -maya, “consisting of.” The verse is talking about people (Skt. janaḥ, Tib. skye bo), saying that they “consist of phenomena”; it is not making a statement about the nature of phenomena. Accordingly, the 2004 translation has: “they [beings] . . . are objective,” where by “objective” we are to understand that they are “objects,” “things,” “phenomena” (dharma-s). The Tibetan translations are deservedly renowned for their high degree of accuracy in following the Sanskrit originals very closely. The Tibetan translations are much more literal than the great majority of English translations today. This literal accuracy has resulted in the most precise transferal of a body of religious knowledge from one language to another known to history. Because the Tibetan translations follow the Sanskrit originals so closely, their style is closer to Sanskrit than to native Tibetan. This at times can present a challenge in understanding them, and in translating these translations into English. When the Sanskrit text is available, ambiguities in the Tibetan translation can usually be clarified by reference to it. For example, the 2014 translation of the Mahāyāna-sūtrālaṃkāra, made only from the Tibetan, erroneously has (verse 2.7): “Because of its [the Great Vehicle’s] vastness and profundity, maturation and nonconceptuality, its teaching is twofold.” The 2004 translation, clarified by comparison with the Sanskrit, has (verse 1.7, or verse 1.13 in the Sanskrit edition): “From the magnificent and the profound come evolutionary development and nonconceptual (wisdom). (The universal vehicle) teaches both, . . .” The verse does not say, “Because of its . . . maturation and nonconceptuality,” but rather speaks of its twofold teaching of vastness and profundity, saying that maturation comes from vastness, and nonconceptuality comes from profundity. This is unmistakable in the Sanskrit. Many more errors of this type could be cited, that would have easily been avoided by reference to the Sanskrit. The 2004 translation is the result of a longstanding effort involving several scholars, who produced a completed draft already by the end of the 1970s. So by 1980 the Sanskrit text had already been compared. Thus, the corrections by Lévi (1911) and Nagao (1958, as well as his later personal input) were utilized, but the revised editions by Funahashi (1985, 2000) were not utilized. Nor were the many corrections that Lévi had written in his personal copy of his edition, published only in 2001 thanks to the efforts of Kamaleswar Bhattacharya, filling eight printed pages.8 In the last few years, Kazuo Kano has been publishing the edited Sanskrit text of eight folios of a very old palm-leaf manuscript of the Mahāyāna-sūtrālaṃkāra and bhāṣya found at the Ngor monastery in Tibet.9 While these include valuable corrections, they also show that the Sanskrit text we have, disregarding scribal errors, is essentially the same as the one translated into Tibetan long ago. The 2004 translators shied away from referring to the “Sanskrit original” (Preface, p. x), because of the many errors in the comparatively late Sanskrit manuscripts found in Nepal (on one of which Lévi’s edition was based), but we can now certainly do so. The Tibetan translation, too, has numerous scribal errors, as may be seen by comparison between the various Tengyur editions. A translation of the very helpful Sanskrit commentary that accompanies the verses, the bhāṣya by Vasubandhu, is included in full in the 2004 translation (and also in the 1992 translation, but this translation is simply too unreliable to take into account). The Tibetan translation of this commentary was, in effect, abridged by Khenpo Shenga (1871-1927), and was thus partially included in the 2014 translation by way of his commentary. Thus, good explanations of the often too brief verses are found in both the 2004 and 2014 translations. Sometimes the verses are not explained (or not fully explained) in the accompanying commentary, which is comparatively brief, so a larger commentary must then be consulted. In India, this larger commentary is the sub-commentary by Sthiramati, so far still lost in Sanskrit, but preserved in its Tibetan translation. In Tibet, the larger commentary by Ju Mipham (1846-1912) drew heavily upon the commentary by Sthiramati. A translation of Mipham’s lengthy commentary is included in full in the 2014 translation, bringing the page count of this translation to 929 pages. For the 2004 translation, Lobsang Jamspal read through the entire Sthiramati sub-commentary and adapted that translation accordingly. The dust jacket of the 2014 translation quotes scholars describing it as an “outstanding translation,” and saying that “the translators have rendered this text . . . into the most accessible and readable English now available.” This is a polite way of adverting to the English of the 2004 translation as being less accessible and readable. An American longtime Buddhist put it more bluntly in an email reply to me shortly after the 2004 translation was published: “You are too kind to Thurman. I am disgusted that he took the serviceable version by ?? (forgot which Tibetan did it) [Lobsang Jamspal] and plugged in his ‘evolution,’ ‘genius’ and other ludicrous thurmanisms. I have tried to read it, but simply do not know what many of the thurmanisms correspond to. So it sits on the shelf. Thirty years wait and this is what we get! And he has no Tibetan-Thurman glossary so one could match up his goofy translation choices.” The English terminology in the 2004 translation is avowedly experimental (Preface, p. x), and Thurman’s translation choices for these terms were mostly adopted later in the joint translation process. Besides “evolution” or “evolutionary action” for karma, “evolutionary maturity” for paripāka (translated as “full maturation” in the 2014 translation), and “genius” for dhīmat (a common epithet of a bodhisattva, translated as “wise individual” in the 2014 translation), the 2004 translation employs translations such as “addictions” (or “mental addictions”) for kleśa. This basic term in Buddhism had long been translated as “defilements,” and more recently as “afflictions” (or “mental afflictions”), as it is in the 2014 translation. The 2004 translation also switches back and forth between “his” and “her” pronouns throughout, even though the original text does not, in deference to modern sensibilities about respect to women. Even the title was a last-minute change, translating alaṃkāra as “literature” rather than as “ornament” (Introduction, p. xiii, fn. 3). From Thurman’s lifelong work and publications, I have no doubt that his translation choices are motivated by the bodhisattva ideal of benefiting all sentient beings. With these new translation terms, he is apparently trying to reach a wider public. As an unintended consequence, the 2004 translation is harder to use by students of Buddhism who are accustomed to more standard translations of Buddhist terms, and who may well make up the book’s largest readership. Ironically, 27 years earlier in 1977, Thurman had rather harshly reviewed the translation of Longchenpa’s text, Kindly Bent to Ease Us, made by Herbert Guenther, who has become well-known for his unique choices of translation terms: “Unfortunately, Guenther ruins the whole thing, shrouding the jewel of the original with his own intellectual obscurities so that we catch only an occasional glint of its brilliance.”10 It is certainly true that a glossary would have helped the 2004 translation immensely, and one will no doubt be added in a future edition. As the first volume in the Tanjur Translation Initiative, this book was published under more difficult circumstances than normal, and subsequent volumes in this series do have glossaries. We may now turn to a few example verses from the two translations. Kamaleswar Bhattacharya picked out verse 9.23 (or 10.23) as a key verse with which to open his book, L’Ātman-Brahman dans le Bouddhisme ancien (The Ātman-Brahman in Ancient Buddhism). This verse pertains to the question of the ātman or “self,” whose denial is considered to be one of the defining characteristics of Buddhism. The Sanskrit is given below from Lévi (1907) as corrected by Nagao (1958) and Funahashi (1985), and also in a footnote in the 2004 translation. As noted by Bhattacharya (2001, p. 6), it turns out that the incorrect Sanskrit reading found in Lévi’s 1907 edition, nairātmyānmārgalābhataḥ, is a silent emendation by Lévi himself. His manuscript had it correct except for a missing “r” (a small stroke under the “ga”), which threw him off the right track. Bhattacharya reproduces the actual manuscript folio that Lévi used, showing the reading, nairātmyātmāgalābhataḥ (at the very beginning of that folio). The Tibetan is given below from the Comparative Tengyur published in China (vol. 70, 2001, p. 823, lines 4-5, text of the verses only, having the present form ’gyur for the last syllable, and pp. 1196-1197, text of the verses with commentary, having the past form gyur for the last syllable, which I adopt in agreement with the Sanskrit past form gata). The buddhas achieve the supreme self of selflessness. First, we see that both translations use “selflessness” for nairātmya (Tib. bdag med). The word selflessness in English has always meant unselfishness or altruism. Here it has been employed to mean something very different, the Buddhist teaching of the “absence of a self” in persons (pudgala-s), and according to Mahāyāna Buddhism, also in things or phenomena (dharma-s). If you are “in the loop,” if you are among those who have read a number of modern books on Buddhism, you will know this meaning and usage of the word selflessness. If you are not in the loop, this translation of nairātmya will make little sense. The 2014 translation says that the buddhas “are hence the self of great beings.” While the Tibetan translation allows this English translation, the Sanskrit, both of the verse and of the commentary, does not. In the Tibetan words bdag nyid chen po, taken as “great being,” the nyid actually translates the Sanskrit abstract suffix -tā, “-ness,” on mahātmatā, literally “great-self-ness,” or “great-selfed” in the Griffiths translation, or just “greatness” in the 2004 translation. *’dis in the Peking and Narthang editions. Khenpo Shenga’s commentary is here quite brief, extracting only a couple of points from Vasubandhu’s commentary. As found in the 2014 translation, Khenpo Shenga’s commentary on this verse follows. Words quoted from the verse itself are put in bold, a helpful feature. The next example is from the third chapter (or fourth in the Tibetan translation). This is the first chapter on a Buddhist doctrinal topic, after the introductory chapter(s) and the chapter on going for refuge. Its topic is the gotra (Tib. rigs), a term that is very hard to translate adequately into English. David Seyfort Ruegg has distinguished three main meanings in Buddhist usage: 1. mine, matrix; 2. family, clan, lineage; 3. germ, seed.13 It is translated as “spiritual gene” in the 2004 translation, although in a 1979 draft of this translation that I have access to, it was translated as “heritage.” It is translated as “potential” in the 2014 translation. (It is left untranslated in the 1992 translation.) Verse 4 of this chapter gives its defining characteristics. The Sanskrit is given from Funahashi’s edition, agreeing with Lévi’s edition. The Tibetan is given from the Comparative Tengyur, vol. 70, p. 810, lines 6-8, where the text of only the verses has a variant reading, and from vol. 70, p. 1152, lines 9-11, where the text of the verses with commentary has another variant reading. I have ignored a third variant reading that is obviously an error. *gnyis in the Der-ge and Co-ne editions of the text of the verses with commentary. **dang in the Peking and Narthang editions of the text of the verses only. Are the support and the supported. 6.7. And once aware that objects are mere verbalizations she securely dwells in the realm of mind alone with such (objective) appearance. Then she realizes intuitively that the ultimate realm is (immanently) present, free of the nature of duality. Free from the characteristics of duality, in direct perception. The bodhisattva also realizes that the mind does not exist at all. As we see, following upon the idea that nothing exists other than mind (nâstîti cittāt param), these verses say the bodhisattva realizes that the mind does not exist (cittasya nâstitvam). The Mahāyāna-sūtrālaṃkāra is a fundamental text of the Yogācāra school, a school that is widely held to teach the existence of “mind-only” (citta-mātra), and thus is also called the Cittamātra school. The “Great Madhyamaka” tradition claims the five treatises of Maitreya as its source texts, saying that these texts do not teach “mind-only”; but rather they teach that mind, like all other phenomena, does not ultimately exist. These verses from the Mahāyāna-sūtrālaṃkāra would be an important source reference in support of this assertion. Interestingly, although Mipham as a Ri-mé teacher is a major exponent of the Great Madhyamaka tradition, he does not bring out this point in his commentary on these verses. The example verses quoted so far were chosen to illustrate important ideas found in the Mahāyāna-sūtrālaṃkāra. They have not much illustrated the differences between the two translations in translation terminology. For this, we may look at verse 9.9 (or 10.9). Before doing so, we must note that the Tibetan translation of this verse differs from Lévi’s Sanskrit edition in two places. Neither Lévi in his corrections published long posthumously in 2001 nor Nagao in his corrigenda published in 1958 suggested emendations to this Sanskrit verse. So we are glad to see that the 2004 translation in a footnote (p. 76, fn. 16) gives emendations to this Sanskrit verse in three places, even though none of these three emendations fit the meter, and the third of these is unnecessary.15 The second of these emendations concerns the word ’jig tshogs found in the Tibetan translation. 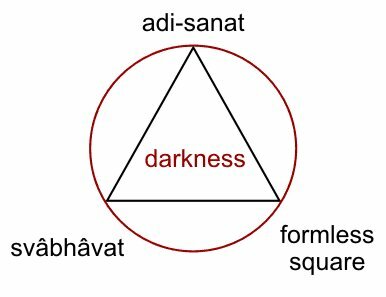 This is the standard translation of the Sanskrit word satkāya, which is not found in Lévi’s Sanskrit edition. However, Funahashi in his 1985 revised edition of this chapter shows that five Nepalese manuscripts do have satkāya here. The words sarvarakṣāpayānaṃ in Lévi’s edition thus should be sarvasatkāyayāna as in Funahashi’s edition. This also fits the meter. I give his revised text of this verse below. The remaining emendation to this Sanskrit verse is not so easy to ascertain.16 I give the Tibetan from the text of only the verses in the Comparative Tengyur (vol. 70, p. 821, lines 13-16), which has one significant variant reading, and two insignificant ones that I have ignored. Likewise the text of the verses with commentary has two variant readings that I have ignored (vol. 70, p. 1192, lines 18-21). *las rnams in the Peking and Narthang editions of the text of the verses only. (1) “addictions” for kleśa-s (Tib. nyon mongs), translated as “afflictions” in the 2014 translation. As said above, “afflictions” (or “mental afflictions”) has now become a frequent translation for kleśa-s in Buddhist texts, as has “afflictive emotions.” I have also seen “mental and moral afflictions.” These translations are based on the etymological and literal meaning of kleśa as “affliction.” Interestingly, “affliction” was also the earliest English translation of kleśa, found in James R. Ballantyne’s 1852 and 1853 translation of Yoga-sūtra books 1 and 2 (where they are enumerated at 2.3), and adopted by many other translators of this Hindu text up to the present. In previous translations of Buddhist texts this term was often given more descriptive translations such as “defilements,” “moral defilements,” “defiled emotions,” “passions,” etc. The kleśa-s are desire, hatred, delusion, pride, ignorance, wrong views, doubt, etc. As noted above, the anomalous use of “selflessness” has become accepted Buddhist jargon for those in the know. In combination, this leads to another unique translation term found in the 2004 translation, one that may take more than being in the loop to understand. In Vasubandhu’s commentary on verse 4.14 we read, “there is equanimity towards all things due to the understanding of objective selflessness.” In normal English, “objective selflessness” would mean “unbiased altruism” or “impartial unselfishness,” and this is something we might expect from a bodhisattva who has equanimity towards all things. Now that we are in the loop, however, we know that “selflessness” here means “absence of self,” not “altruism” or “unselfishness.” So we next need to determine what “objective absence of self” might mean. To do this, we must have studied Mahāyāna Buddhism long enough to know that it teaches two kinds of “absence of self”: that of persons and that of phenomena or things. We can then see that “objective selflessness” must mean “absence of self in objects,” i.e., in things or phenomena. Without such a background, I do not think that this phrase would be understood to mean this. This phrase is found in the 2014 translation as “selflessness of phenomena.” The word “phenomena,” too, has become accepted Buddhist jargon. A Christian theologian pursuing interfaith studies may not find either of these translations to be very comprehensible. These few unusual translation terms in the 2014 translation are very much the exception, and I call attention to them for the reason that they are unexpected there. The vast majority of the translation terms in the 2014 translation are ones that would be expected. Moreover, it does have a glossary, even though such glossaries are necessarily selective. Thus, for example, it leaves out “transcendence of suffering,” for nirvāṇa. Also, the English-Tibetan Glossary, through some glitch, omits all the words starting with “s”. Are obscured by things such as clouds. The renowned accuracy of the Tibetan translations in very closely following the Sanskrit originals goes hand in hand with their use of standardized translation terminology. This was implemented quite early by royal decree, and was used throughout the entire body of Buddhist texts. This standardized translation terminology allowed Tibetans to know that chos is always dharma, for example, no matter in what text or who translated it. We do not have this in our English translations today, nor are we likely to, because of our individualistic natures. Thurman has noted that the śāstra texts comprising the Tengyur, of which the Mahāyāna-sūtrālaṃkāra is one, are scientific treatises (pp. ii, vii, xvii). While their primary field is not the physical realm, as is that of the modern sciences of biology, chemistry, physics, etc., what they expound are similarly sciences that require the use of precise technical terms. Lacking standardized translation terms that all can agree on, we are obliged to add glossaries, or to add the Sanskrit terms in parentheses (as done by Étienne Lamotte in his valuable translations), or even to add the whole Sanskrit text (as is now frequent in translations of Hindu texts published in India). Things were different when the Buddhist texts were translated from Sanskrit into Tibetan. The use of standardized translation terminology, along with the literal accuracy of the Tibetan translations, together resulted in the most precise transferal of a body of religious knowledge from one language to another known to history. In conclusion, the two translations of the Mahāyāna-sūtrālaṃkāra complement each other in important ways. The use of more standard translation terminology makes the 2014 translation more understandable, while the use of the Sanskrit original makes the 2004 translation more accurate. No serious student can afford to be without either of them. 1. The Works of Maitreya: English Translations, p. 7. Eastern Tradition Research Institute Bibliographic Guides, 2007: http://easterntradition.org/etri%20bib-maitreya.pdf. 2. See Sylvain Lévi’s Avant-propos to his 1907 Sanskrit edition. This edition is posted here under “Sanskrit Texts,” then “Sanskrit Buddhist Texts,” then Mahāyānasūtrālaṃkāra: mahayana_sutralamkara_1907.pdf. An English translation of this Avant-propos was made by Umesh Jha and published, along with the French, as “A Rendition of Lévi’s Preface to the Sūtrālaṃkāra,” Bulletin of the Mithila Institute of Post-Graduate Studies and Research in Sanskrit Learning, Darbhanga, Vols. IV-VI, Sept. 1968-Sept. 1970, pp. 202-209, here attached as: Mahayana-sutralamkara, Levi’s Preface, Eng. The relevant portion is also quoted in French and translated into English by Kamaleswar Bhattacharya in his 2001 article, pp. 5-6 and fn. 5; for the full title and link, see note 8 below. 3. As Kazuo Kano informs us in his 2012 article, “Eight Folios from a Sanskrit Manuscript of the Mahāyānasūtrālaṃkārabhāṣya from Ngor Monastery: Diplomatic and Critical Editions on X.9-XI.3,” p. 33. See note 9 below for link. 4. Gadjin M. Nagao, “Corrigenda of the Text Edited by Professor Sylvain Lévi,” in Index to the Mahāyāna-sūtrālaṃkāra (Sylvain Lévi Edition), Part One: Sanskrit-Tibetan-Chinese, pp. xi-xxii (Tokyo, 1958), here attached as: Mahayana-sutralamkara corrigenda Nagao 1958. 5. The two additional Sanskrit manuscripts that were brought to Japan and are kept in the Ryūkoku University Library were first reported on and studied by Shōko Takeuchi in his Japanese language article, “On Mahāyānasūtrālaṃkāra—brought by Ōtani Mission,” Ryūkoku Daigaku Ronshū, no. 352, Aug. 1956, pp. 72-87, here attached as: Mahayanasutralamkara brought by Otani Mission, Takeuchi 1956. Besides being consulted by Nagao, these two manuscripts were also used by Takanori Umino, in his English language article, “Corrections of the Mahāyānasūtrālaṃkāra XI. 35,” Journal of Indian and Buddhist Studies, vol. 22, no. 1, Dec. 1973, pp. 513-508 (20-25), here attached as: Mahayanasutralamkara Corrections of XI.35, Takanori 1973. 6. Two of these additional Sanskrit manuscripts from the Nepal National Archives were compared with Lévi’s edition by Risho Hotori, who published a “Concordance of the Sanskrit Edition and Two Manuscripts of the Mahāyānasūtrālaṃkāra,” in Tetsugaku Nempō, no. 43, Feb. 1984, pp. 83-90, here attached as: Mahayanasutralamkara Concordance Two Manuscripts, Hotori 1984. These two manuscripts were used by Gadjin Nagao, along with the two from the Ryūkoku University Library, for his English translation of chapter 17, verses 29-64, with revised Sanskrit edition and list of corrections to Lévi’s edition, published as “The Bodhisattva’s Compassion Described in the Mahāyāna-sūtrālaṃkāra,” in Wisdom, Compassion, and the Search for Understanding (University of Hawai’i Press, 2000), pp. 1-38, here attached as: Mahayana-sutralamkara 17.29-64 Eng. Skt. Nagao 2000. 7. Naoya Funahashi, Mahāyānasūtrālaṃkāra (Chapter I, II, III, IX, X), Revised on the basis of Nepalese manuscripts (Tokyo, 1985). This is posted here under “Sanskrit Texts,” then “Sanskrit Buddhist Texts,” then Mahāyānasūtrālaṃkāra: mahayana_sutralamkara_partial_1985.pdf. 8. Kamaleswar Bhattacharya, “For a New Edition of the Mahāyānasūtrālaṃkāra, Journal of the Nepal Research Centre, vol. XII, 2001, pp. 5-16, here attached as: Mahayanasutralamkara, For a New Edition of, Bhattacharya 2001. 9. Kazuo Kano has kindly posted his many valuable articles at Academia.edu (https://koyasan-u.academia.edu/KazuoKano). This is very helpful because Japanese academic publications are not easily accessible here in the U.S.A., for example. Besides his article listed in note 3 above, his three other articles on the Mahāyāna-sūtrālaṃkāra are: “Palm-leaf Manuscript of the Mahāyānasūtrālaṃkāra from Ngor Monastery—Folio 27: XI.14-27—,” “The Sanskrit Manuscript of the Mahāyānasūtrālaṃkārabhāṣya from Ngor Monastery: Diplomatic Edition on XVII.37-39,” and “Vairocanarakṣita’s Glosses of the Mahāyānasūtrālaṃkārabhāṣya Chapter 17.” In his article listed in note 3 above (pp. 36-37) he gives information about other Mahāyāna-sūtrālaṃkāra manuscripts in Tibet. As access to these becomes possible, we may hope to eventually have a very accurate Sanskrit edition of this text. From access to an incomplete related text, the Sūtrālaṃkāra-paricaya, Ye Shaoyong was able to recover three verses, 2.9-11, that are absent in Lévi’s edition due to a missing folio: “Three Verses of the Mahāyānasūtrālaṃkāra Missing in Sylvain Lévi’s Edition,” Journal of Sino-Western Communications, vol. 5, no. 1, July 2013, pp. 218-224, here attached as: Mahayanasutralamkara, three missing verses. 10. Robert A. F. Thurman, review of Herbert V. Guenther, Kindly Bent to Ease Us, in Harvard Journal of Asiatic Studies, vol. 37, no. 1, June 1977, pp. 222-228, here attached as: Thurman review of Guenther Kindly Bent to Ease Us. 11. Paul J. Griffiths, “Painting Space with Colors: Tathāgatagarbha in the Mahāyānasūtrâlaṅkāra-Corpus IX.22-37,” in Buddha Nature: A Festschrift in Honor of Minoru Kiyota, pp. 41-63 (Tokyo, 1990), here attached as: Mahayanasutralamkara 9.22-37, Tathagatagarbha in, Griffiths 1990. 12. Cuong Tu Nguyen, Sthiramati’s Interpretation of Buddhology and Soteriology, Harvard University PhD. thesis, 1990, pp. 379-383, including verse 9.23, here attached as: Mahayana-sutralamkara Sthiramati comm. 9.23 Nguyen trans. 13. D. Seyfort Ruegg, “The Meanings of the Term Gotra and the Textual History of the Ratnagotravibhāga,” Bulletin of the School of Oriental and African Studies, vol. 39, 1976, p. 354. This article is posted here under “References,” then “Studies,” then “Dhatu — Gotra (Eleven articles),” of which it is the fifth article, pp. 28-40 of that PDF. 14. The Letters of H. P. Blavatsky to A. P. Sinnett, London, 1925, p. 195. 15. The third emendation to this Sanskrit verse given in a footnote in the 2004 translation (p. 76, fn. 16) is pratatavividhaduḥkhāpāyānupāgānāṃ for Lévi’s pratatavividhaduḥkhāpāyanopāyagānāṃ. Apparently this emendation is itself a typographical error, since it lacks a syllable and eliminates the word upāya, for which we have its standard translation thabs in the Tibetan text. Probably the intended emendation was pratatavividhaduḥkhāpāyānupāyagānāṃ. In any case, it is unnecessary. The use of the Sanskrit word “na” in a compound in order to fit the meter, here nopāya instead of anupāya, is not uncommon. corresponds and from which proceeds human Manas”. and the Self of a progressed adept. pravṛtti and karman aspects of ālaya. sacred four or the tetraktis. Cosmological Notes in BL p. 378; spelling cf.